Right from enjoying a sluggish walk on terrains to jumping on the rocks, mountaineering accompanied by rock climbing can be really fun if done with precaution. The exceptional and serene landscapes of Himachal Pradesh along with the endeavouring beauty and the thrill it posses can make anyone go crazy. 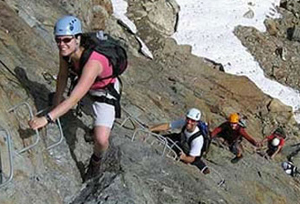 Himachal Pradesh is the best place in India to enjoy daring activities. Himachal Pradesh is completely synonymous with a great saying by Rudyard Kipling, 'Surely the gods live here; this is no place for men'. Climbing at an elevated topography requires great strength, physical and mental strength. Mountain climbers will have to take special permission from the tourism board to go for climbing in Himachal Pradesh. The mountain ranges of Dhauladhar, Pir Panjal and Chandra Bhaga in Himachal Pradesh are the best places to enjoy rock climbing and mountaineering in Himachal Pradesh. Some of the prominent rock-climbing sites are Shitidhar Mountain, Friendship Peak in the Pir Panjal Range, Patalsu Peak, Mount Hanuman Tibba, Seven Sisters, Mount Deo Tibba, and Beas Kund. Talking about mountaineering sites Chandratal and Malana glaciers are most popular among ice-climbers. 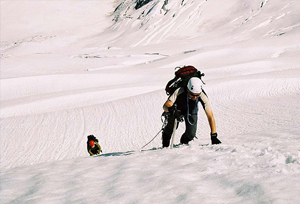 For beginners, Atal Bihari Vajpayee Institute of Mountaineering and Allied Sports in Manali and Dharamshala is the place to learn new activities. Tourists can enroll for a short term training course to brace up their skills. The institute also includes a basic level course related to skiing and Paragliding as well. Here's a call for all the mountaineers! Don't wait further, get all the gears ready and go for a fun-filled expedition to Himachal Pradesh. Apart from the excitement and challenges thrown up by the terrain, the picturesque surroundings, and pleasant weather make Himachal Pradesh mountaineering a popular activity.